From time to time I write about the Chinese government's repression of religion in various forms, including Christianity. Before the revolution in 1949 there were roughly four million Christians in China and through the second half of the 20th century they were persecuted. The numbers of Christian converts grew, nonetheless, and the estimate is that there are now 70 million believers. If the growth continues at current levels China could have the largest Christian population in the world, which makes the government nervous. Remember that we've just walked through the story of an empire which executed a possible revolutionary, although that unleashed rather than ended the change Christ's followers would bring in this world. The move aligns with a long-standing effort to limit the influence of Christianity in China. Among China’s major religions — which include Buddhism, Taoism, Islam and folk beliefs — Christianity is the only one whose major holy text cannot be sold through normal commercial channels. 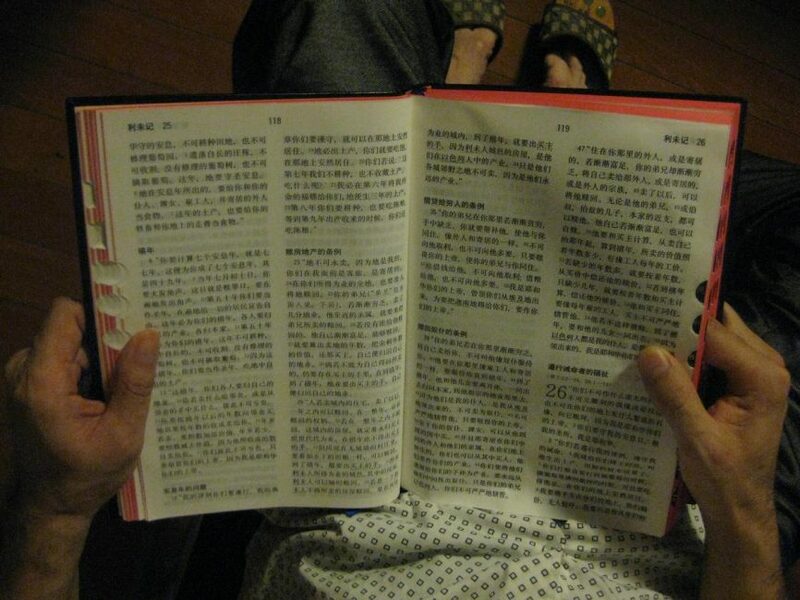 The Bible is printed in China but legally available only at church bookstores. The advent of online retailers created a loophole that made the Bible easily available. This was especially important in China given the growing dominance of online shopping. The closing of that loophole follows new government religious regulations that have effectively tightened rules on Christianity and Islam, while promoting Buddhism, Taoism and folk religion as part of President Xi Jinping’s efforts to promote traditional values. Who can know whether there will be crackdowns on these other faiths, depending on the whims of the current regime. As always, I invite you to pray for the church in China, in all its expressions. And that those hungry for the Good News of Jesus Christ will be able to procure bibles and read them without repercussions. I wonder if banning bible purchases in Canada would stir complacent Christians to blow the dust off their copies of scripture and delve into the challenging message of Love Incarnate?